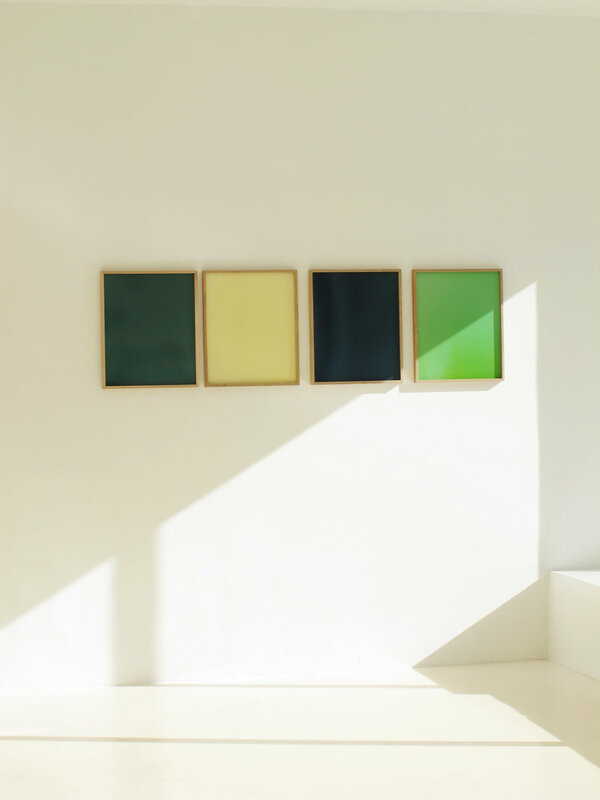 "In the exhibition at Entrée, For the Sake of Colour, Vilde Salhus Røed is examining photography as representation and object at the same time. Early colour photographs, taken for the sake of colour, has been collected for the sake of colour by photographer Leif Preus (1928 - 2013) and archived in Preus Museum. 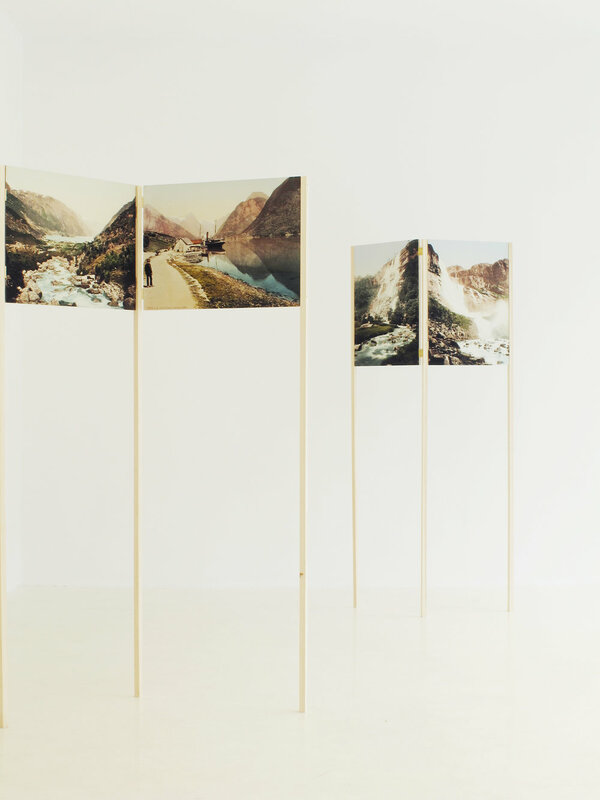 Salhus Røed has investigated this material and reprocessed two new series; Where the Mountains are Pink and A Carpet of Primroses. 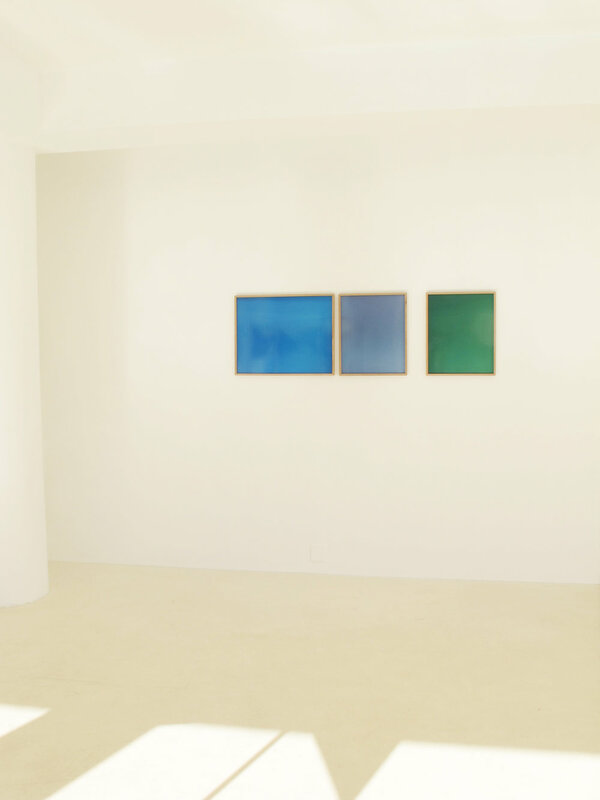 Taking these found images as her point of departure for colour sampling, she has developed Colour Corrections, a series of analogue monochromes, by solely filtrating light to make colour impressions."